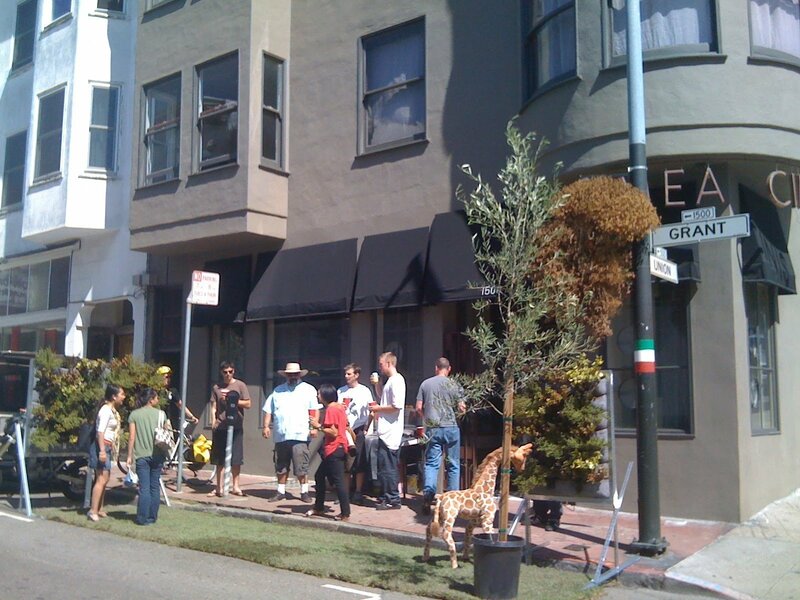 Before the time of parklets, Parking Day was a way to express parking spots as mini parks, for a day. 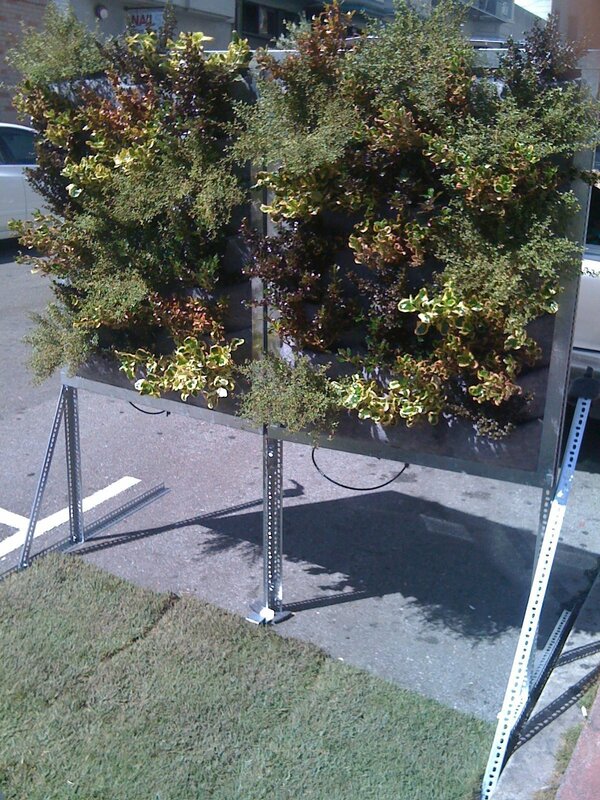 Mike Leon asked Chris Bribach to bring his early Florafelt vertical garden prototypes for an outdoor street side display. The framed panels were supported by a temporary metal structure and filled with hearty shrubs.